Ahhhh nice. 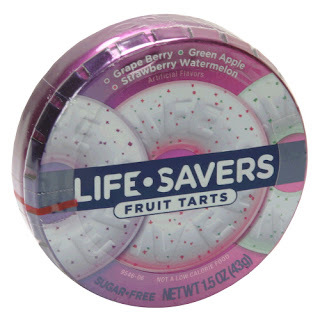 A 14 year old kid takes some Lifesavers mint tins, flattens them out and then they become weapons of micro destruction. Not the the quality control guys adequately prepared for this. Not sure if this is real or not, but still, it is pretty amazing to watch how people react! And she also really wanted that stuffed Garfield. heck out this very cool compilation of videos of a Japanese Katana cutting through various food items in super slow motion. Cabbage, Apple, Onion and my favorite ... Tomato (Salmonella not included) are all victimized by the razor sharp blade. If I could cut through things like that, I would not have to send out for stir fry every damn night! Thanks to Threadbanger, 32,000 people can now sew a button! I was quite surprised when perusing the how-to areas to find that over 32k people had watched this lil' video on how you sew a button although I am not sure what the beginning part shot is all about. It is pretty useful and luckily, I learned some years ago when I did not want to pay the $2 for a tailor to do it. I love how the social videotubes are replacing everything that we should have learned from our parents. Well, in case you never learned, watch this!